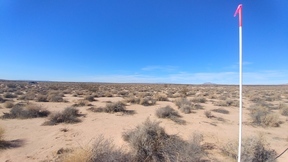 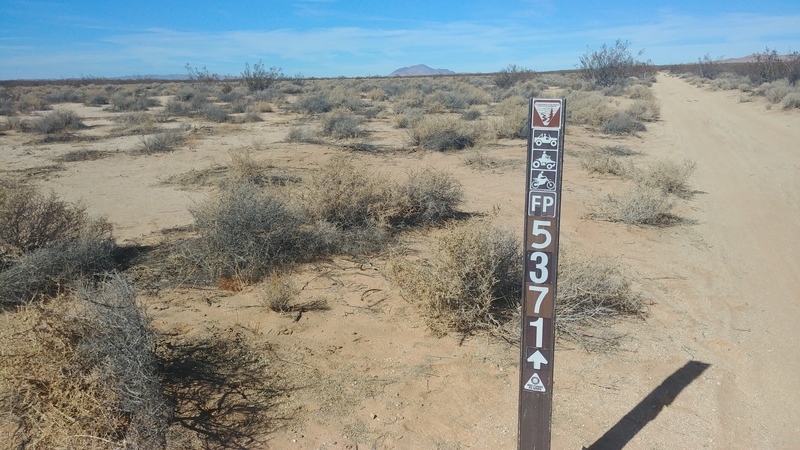 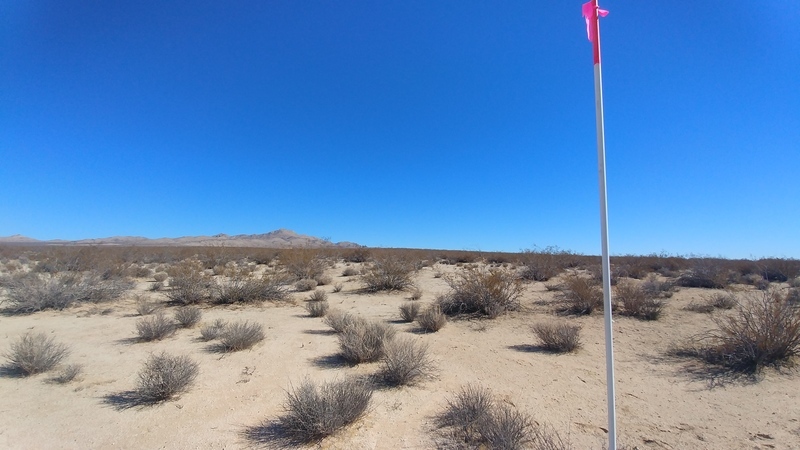 This 80 acres at the intersection of two off road trails (FP5381 & P5371) and is located 9.9 miles northeast of Kramer Junction in San Bernardino County. 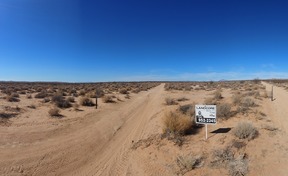 Kramer Junction is at the intersection of US Route 395 and Highway 58 in Boron, CA. 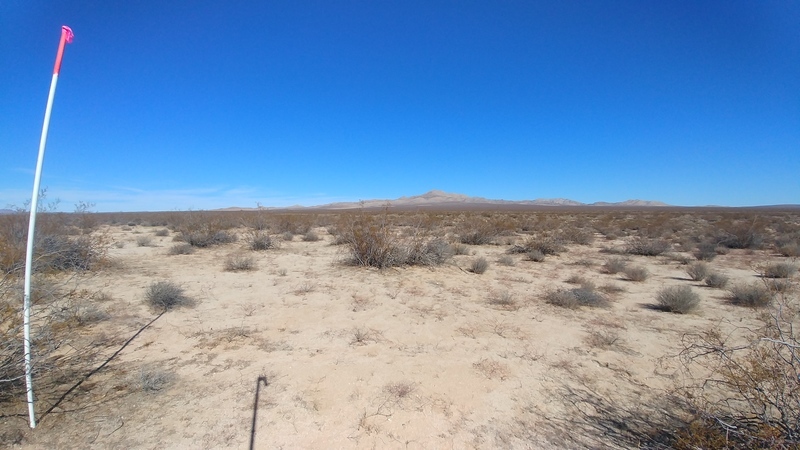 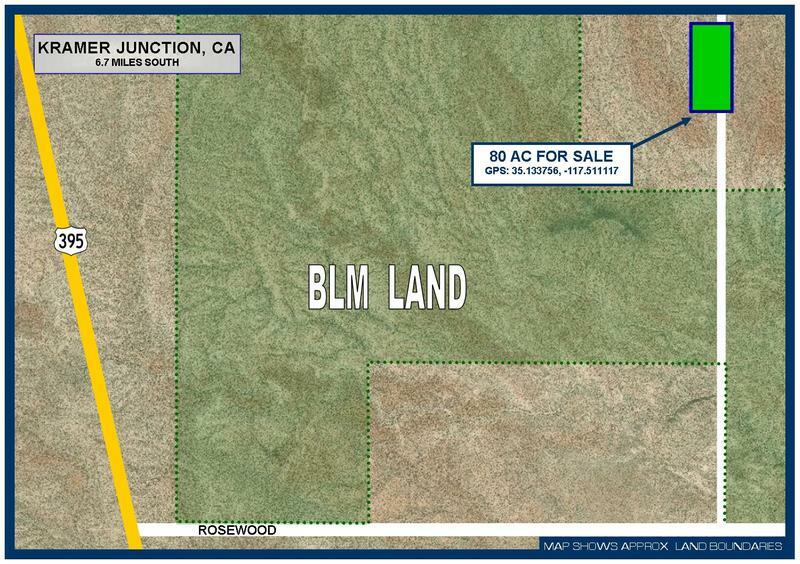 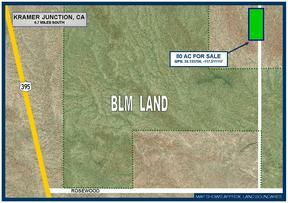 The property is 32 miles northwest of Barstow, CA., 11 miles northeast of Boron, CA and 17.5 miles southeast of Johannesburg, CA. 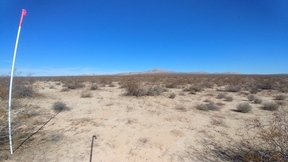 Directions from Barstow: From the I-15 exit onto CA-58 E and continue 33.9 miles to Kramer Junction, turn right onto US Route 395 and continue 7.5 miles, turn right and go 3.5 miles, turn left and go 2 miles. 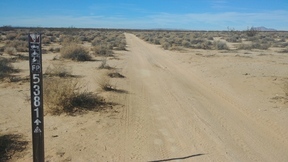 The property sits just off the road on your right. 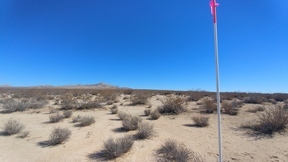 Property has a sign and approx corners are marked with 10 ft white PVC poles.